Meghan Markle's father has revealed the contents of a five-page letter she wrote to him after her wedding with Prince Harry in May. In the letter, Meghan wrote that her father broke her heart "into a million pieces" by criticising her marriage to Prince Harry. 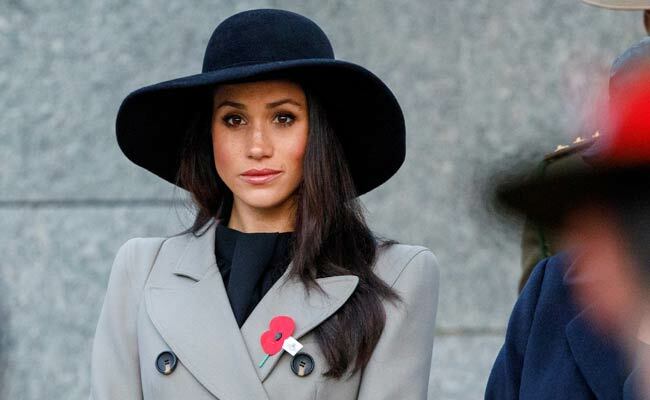 Meghan's father, Thomas Markle, decided not to attend the royal wedding after it emerged that he had staged several paparazzi photos, reports The Sun. Since then, he has spoken critically of Meghan to several tabloids. Mr Markle revealed the letter to the Daily Mail on Sunday. In her letter dated August 2018, quoted by the Daily Mail, Meghan addressed the feud between the two and began: "Daddy, it is with a heavy heart that I write this, not understanding why you have chosen to take this path, turning a blind eye to the pain you are causing. "Your actions have broken my heart into a million pieces - not simply because you have manufactured such unnecessary and unwarranted pain, but by making the choice to not tell the truth as you are puppeteered in this. Something I will never understand. "If you love me, as you tell the press you do, please stop. Please allow us to live our lives in peace. Please stop lying, please stop creating so much pain, please stop exploiting my relationship with my husband," Meghan wrote, according to her father. She also accused her father of not reaching out to her after the wedding, and not letting her know that he wasn't attending. Speaking to the Daily Mail, Mr Markle said that the letter wasn't the "olive branch" that he had hoped for. "When I opened the letter I was hoping it was the olive branch I'd longed for," he said. "I was expecting something that would be a pathway to reconciliation. Instead, it was deeply hurtful. I was so devastated I couldn't show it to anyone and never would have had it not been for the events of last week." In the interview, Meghan's friends said that her father never called or texted her - something he denies.